Malocclusions (bad bites) may cause more than an appearance problem — with teeth and jaws not working together properly, you’re at higher risk for dental disease or accelerated tooth wear. Fortunately, most malocclusions can be corrected through orthodontics, a specialty for moving teeth to better functioning and more attractive positions. If you’re considering orthodontic treatment for a malocclusion, here are the basics on 3 of the most common orthodontic appliances used for straightening misaligned teeth. Metal Braces. These appliances have a proven track record for correcting most forms of malocclusion. Braces consist of metal brackets bonded to the front teeth and an anchor band to the back teeth. A thin metal wire passes through the brackets to attach to the bands in the back. Gradually increased tension in the wire incrementally moves the teeth to the desired position. Clear Bracket Braces. While metal braces do an effective job of tooth movement, they leave less to be desired in appearance. Made of polymer material rather than metal, clear bracket braces offer a more appealing look. But while they’re similar in construction to the metal version, they’re more susceptible to breakage. Wearers must be extra cautious and avoid hard foods or extreme physical sports contact. Clear Aligners. The previous appliances are fixed and can’t be removed by the wearer. Clear aligners take a different approach with removable plastic trays that fit snugly over the dental arch. A series of trays are computer generated to carefully match the patient’s mouth structure, each incrementally smaller than the previous one in the series. After wearing the first tray for two or three weeks, the wearer changes to the next (and slightly smaller) tray in the series, repeating the process until all the trays have been worn. Of the three options, the clear aligners offer the best appearance; however, they’re best suited for cases that don’t require complex movements. We can advise you which option is best for you after a complete evaluation, factoring in age, lifestyle and the complexity of your malocclusion. Regardless of the choice, the aim is the same — achieving a healthier mouth, better function and a more attractive smile. The movie Bohemian Rhapsody celebrates the iconic rock band Queen and its legendary lead vocalist, Freddie Mercury. But when we see pictures of the flamboyant singer, many fans both old and new may wonder—what made Freddie’s toothy smile look the way it did? 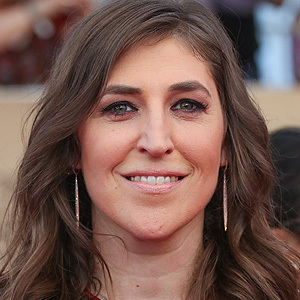 Here’s the answer: The singer was born with four extra teeth at the back of his mouth, which caused his front teeth to be pushed forward, giving him a noticeable overbite. The presence of extra teeth—more than 20 primary (baby) teeth or 32 adult teeth—is a relatively rare condition called hyperdontia. Sometimes this condition causes no trouble, and an extra tooth (or two) isn’t even recognized until the person has an oral examination. In other situations, hyperdontia can create problems in the mouth such as crowding, malocclusion (bad bite) and periodontal disease. That’s when treatment may be recommended. Exactly what kind of treatment is needed? There’s a different answer for each individual, but in many cases the problem can be successfully resolved with tooth extraction (removal) and orthodontic treatment (such as braces). Some people may be concerned about having teeth removed, whether it’s for this problem or another issue. But in skilled hands, this procedure is routine and relatively painless. Teeth aren’t set rigidly in the jawbone like posts in cement—they are actually held in place dynamically by a fibrous membrane called the periodontal ligament. With careful manipulation of the tooth, these fibers can be dislodged and the tooth can be easily extracted. Of course, you won’t feel this happening because extraction is done under anesthesia (often via a numbing shot). In addition, you may be given a sedative or anti-anxiety medication to help you relax during the procedure. After extraction, some bone grafting material may be placed in the tooth socket and gauze may be applied to control bleeding; sutures (stitches) are sometimes used as well. You’ll receive instructions on medication and post-extraction care before you go home. While you will probably feel discomfort in the area right after the procedure, in a week or so the healing process will be well underway. Sometimes, dental problems like hyperdontia need immediate treatment because they can negatively affect your overall health; at other times, the issue may be mainly cosmetic. 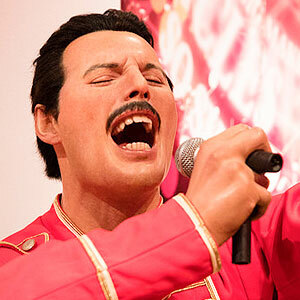 Freddie Mercury declined treatment because he was afraid dental work might interfere with his vocal range. But the decision to change the way your smile looks is up to you; after an examination, we can help you determine what treatment options are appropriate for your own situation. About one-quarter of people have teeth that never developed. 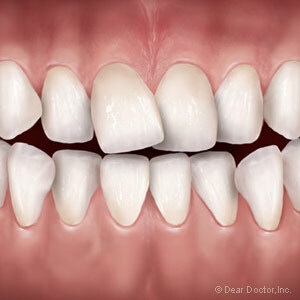 While most of these congenitally missing teeth are wisdom teeth, they can also include premolars or lateral incisors (the teeth right next to the two front teeth, the central incisors). To correct this situation, we must often first attempt to orthodontically move any out of place teeth to their normal positions. This re-establishes the space needed for the missing teeth to be replaced, which we can then restore with prosthetic (artificial) teeth. If the permanent restoration of choice involves dental implants, we’ll usually need to wait until the completion of jaw development around early adulthood. 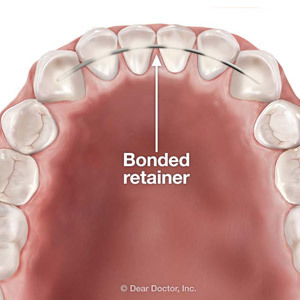 In the mean time, we can use a retainer appliance to hold the teeth in their new positions with prosthetic teeth attached to fill the empty space for a better smile appearance in the interim. The real issue is timing—beginning orthodontic treatment when appropriate to a person’s oral development, as well as completing the implant restoration when the mouth has matured sufficiently. There are other considerations such as bone volume, which may have diminished due to the missing teeth. At some point we may need to consider grafting to build up the bone sufficiently to support dental implants. This all may entail a team approach by various specialties like orthodontics, periodontics and implantology. Working together and coordinating within a timely schedule, a mouth and smile marred by undeveloped teeth can be transformed. What's Considered a Dental Emergency? What's A Good Oral Health Regimen? What Happens During A Dental Emergency? Is My Mouth Healthy Enough for Teeth Whitening? Do You Have Internal Tooth Staining? Opt For Veneers! Are Root Canals Really Painful?